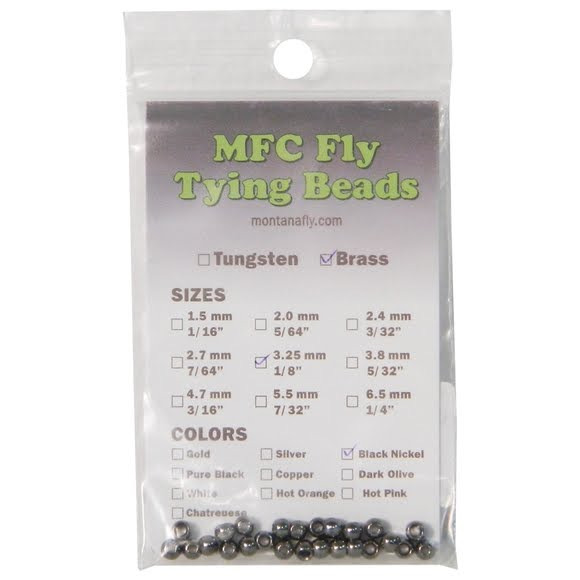 MFC's fly tying beads are counter-drilled metal beads made specifically for fly tying. Our plating process ensures beautiful gold, silver, and black nickel colors, while our 3-layer paint process ensures durability on all of our painted colors. MFC&apos;s fly tying beads are counter-drilled metal beads made specifically for fly tying. Our plating process ensures beautiful gold, silver, and black nickel colors, while our 3-layer paint process ensures durability on all of our painted colors.